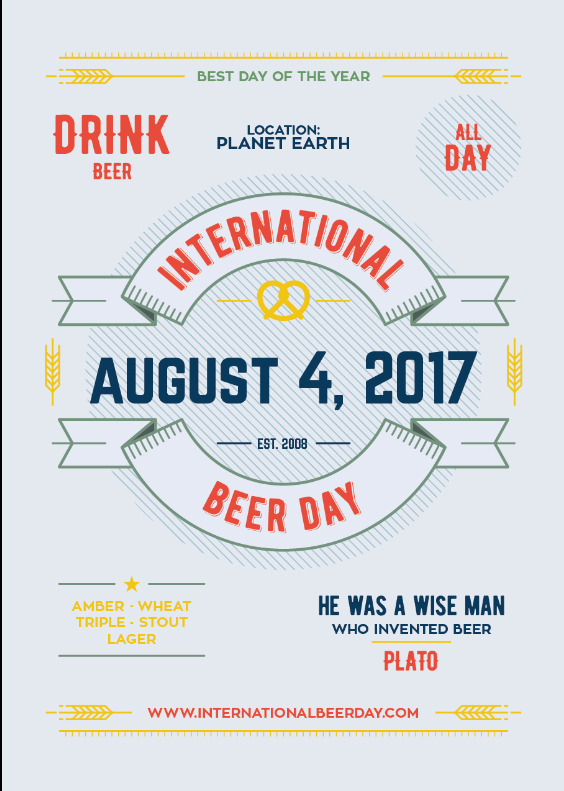 International Beer Day is a global celebration of beer, taking place in pubs, brewpubs, breweries, and backyards all over the world. It’s a day for beer lovers everywhere to raise a toast to our brewers and bartenders and rejoice in the greatness of beer! First of all, here’s the mission statement for the best day of the year. --To gather with friends and enjoy the deliciousness that is beer. --To celebrate the dedicated men and women who brew and serve our beer. --To bring the world together by celebrating the beers of all nations and cultures on this one remarkable day.